This Acrylic Sunglasses Countertop Display Rack is totally made of acrylic. We choose double-row design to meke better use of space. It can hold 10 pieces eyewears. There is Bump block on the nose pad position to protect glasses from sliding down. We use clear acrylic bar which has good gloss, it will show even better look when the room lights on. Feel free to contact us if you are interested or have any questions, we will always happy to solve your problem. 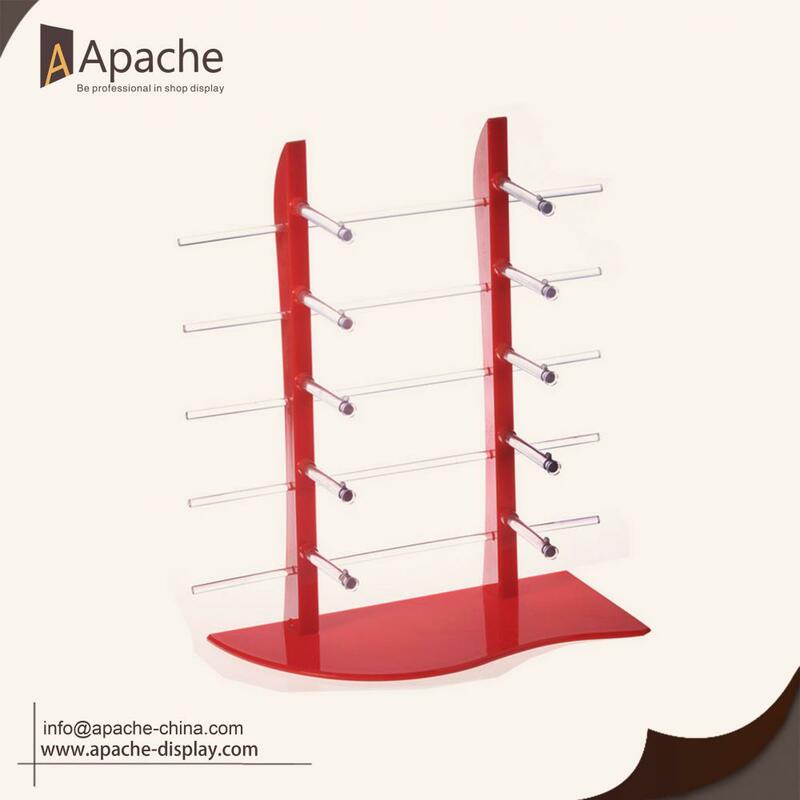 Looking for ideal Acrylic Sunglasses Counter Display Manufacturer & supplier ? We have a wide selection at great prices to help you get creative. 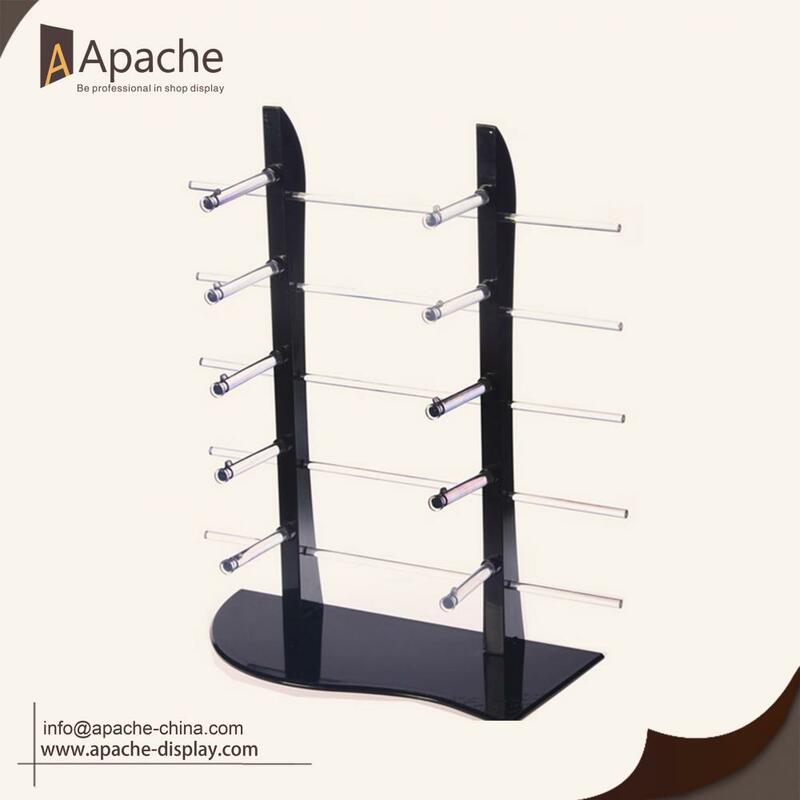 All the Eyewear Countertop Display Rack are quality guaranteed. 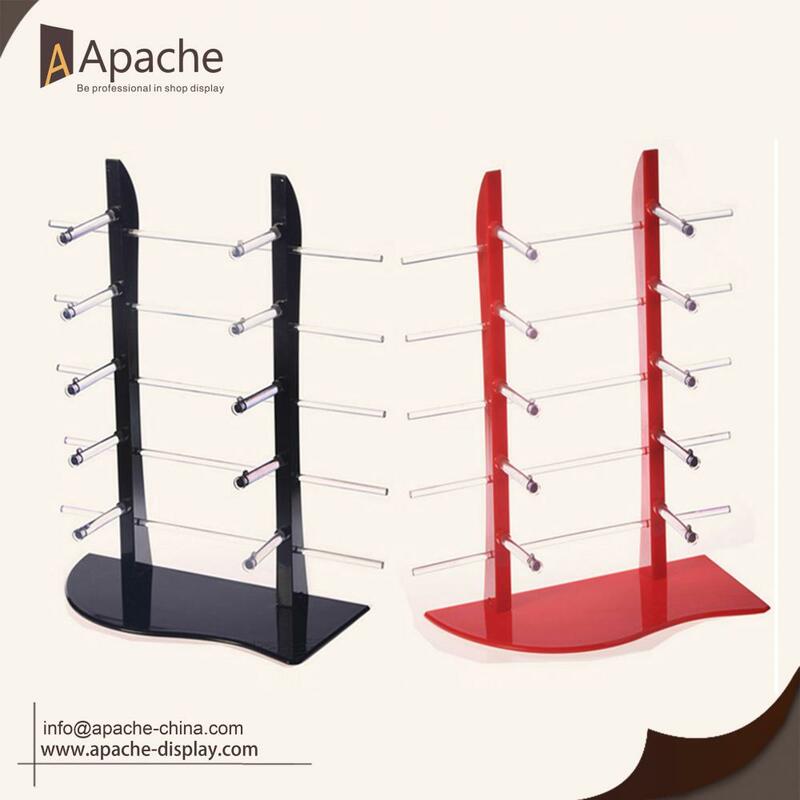 We are China Origin Factory of Acrylic Sunglasses Display Rack. If you have any question, please feel free to contact us.